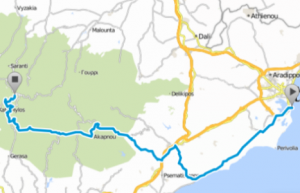 Join us for the best bike adventure on the Island of Cyprus. Spend four days exploring Troodos Mountain and the southern coastal area experiencing the best the country site of Cyprus has to offer. We cover everything you need, as well as the things you didn’t realise you would want. We guarantee most scenic routes, excellent accommodation and dedicated tour support, all those little things that turn your vacation into an experience of a lifetime. 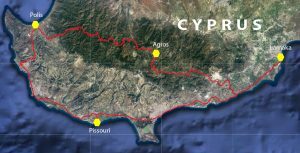 Download the gpx from the Cyprus on Pedals website. And follow instructions to save new course. Now you have a course created. You can upload a GPX file using Strava Labs project (independent of Strava) and you will be redirected to the Strava route builder to save the new route to your Strava account. (*) Join in for Days 3 & 4. 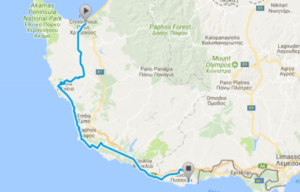 Start in Polis Chrisochous and end in Larnaca. Transportation to the Start and from the Finish is your responsibility. (**) Join in for Days 3 & 4 and stay at Pissouri with spouse. Start in Polis Chrisochous and end in Larnaca. Transportation to the Start and from the Finish is your responsibility. sea’n lake view hotel apartments. 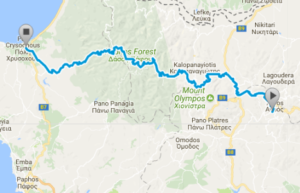 The cost in November is about €40 per apartment and is at a good proximity to Larnaca airport and Start of the tour. 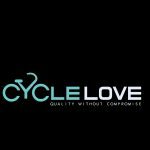 CYCLELOVE offers a 10% discount on all items and services to Cyprus On Pedals participants.